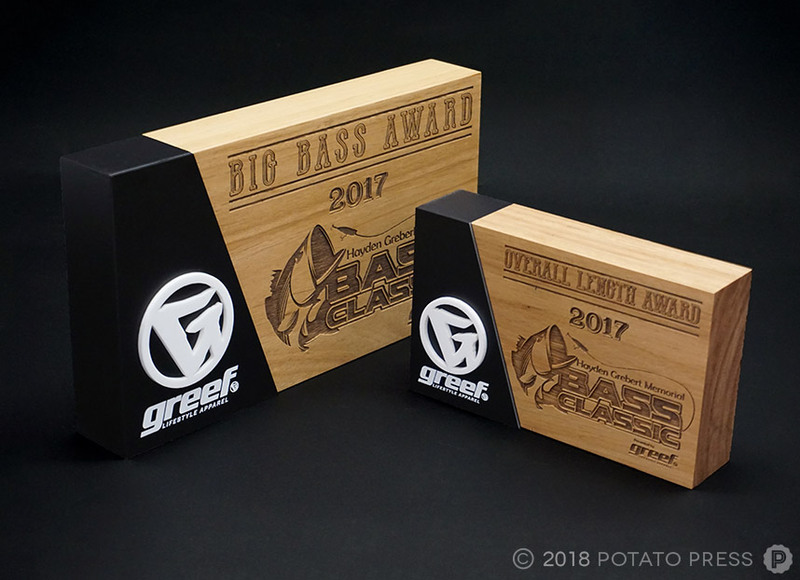 Greef is an Australian Motorbike and fishing apparel brand, who hosted The Hayden Grebert Memorial Copmanhurst Bass Classic in 2017. It is a weekend where fisherman from all over Australia, fish for the biggest bass on the Mighty Clarence River! 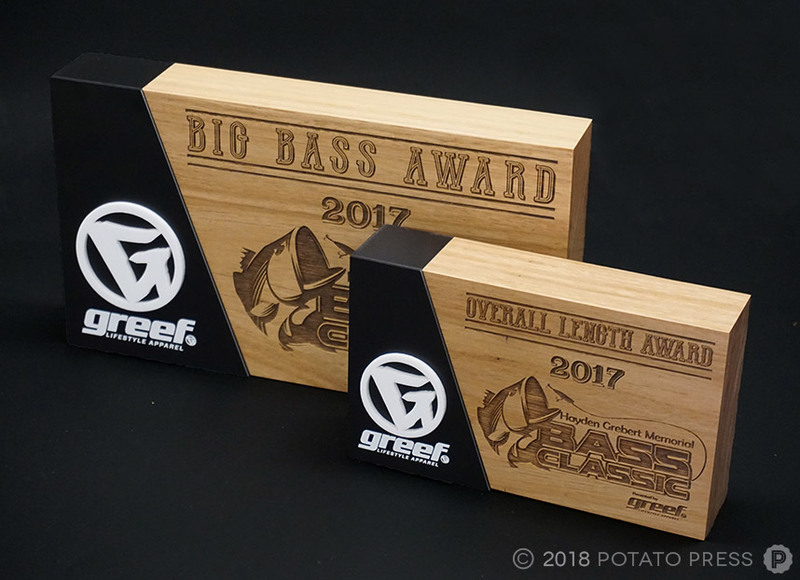 The task given was to create an award that embraced the overall style of Greef, so using solid hardwood timber we finished the award with black details, an acrylic emblem and laser etched text into the timber. 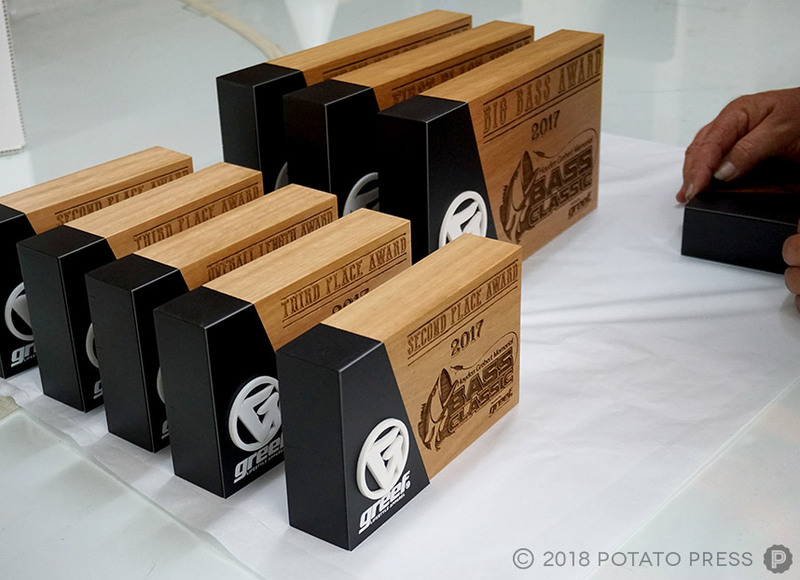 The outcome was a great reflection of the event and their host, Greef, and something winners would proudly showcase. 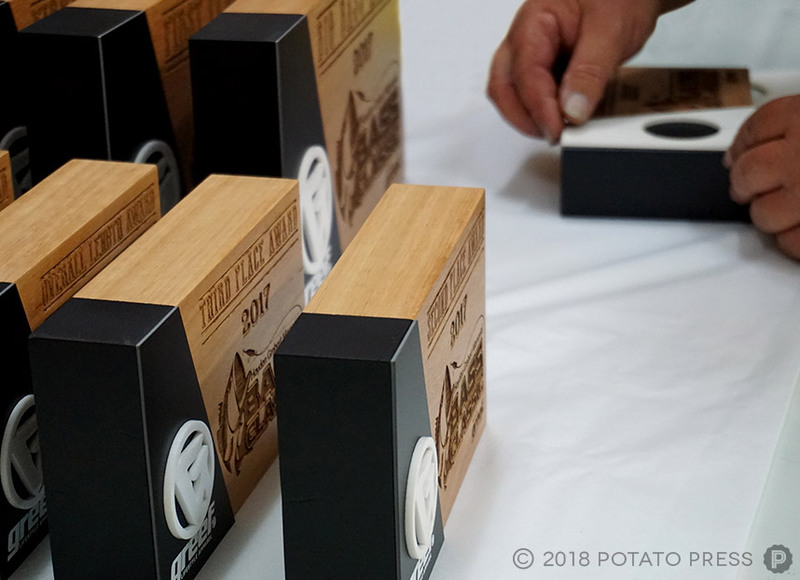 Have an event coming up and would like some custom trophies made? Contact us today to get the ball rolling!